This essay (lightly edited) was submitted as an assignment for my Medicine and Social Justice class, taught by Rosamond Rhodes, as part of the MSc Bioethics degree requirements for Clarkson University/Icahn School of Medicine at Mount Sinai (NYC). The assignment was to select a chapter from the assigned textbook and write a short summary essay. I thought some readers might appreciate this one. I spent many years as primary caregiver for my son who had multiple, severe disabilities all his life. He died five years ago, at the age of twelve. The impact of his presence on our family was considerable, as one might expect. He was a cherished son and brother; his vulnerability and good humour immeasurably strengthened the fabric of our family relationships. However, as his primary caregiver, I bore the burden of caregiving stresses and responsibilities. James Lindemann Nelson’s chapter—Just Expectations: Family Caregivers, Practical Identities and Social Justice in the Provision of Health Care (Rhodes, Battin, and Silvers 2012, 433–443)—accurately reflects my own experience, identifying key threats to families when family members are caregivers, which include: propensity for exploitation; harm to practical identities; and reinforcement of patterns of injustice. In order to reduce the effects of these potential harms to families, direct financial compensation for family caregivers should be provided through health care funding. This proposition finds support in Norman Daniels’ (Rawlsian) justice-based notion of equality of opportunity in health care. In considering the question of compensation for family caregivers, I suggest there are three primary assumptions we must hold to be true. First, those with severe disabilities, both physical and cognitive, are entitled to procedural and distributive justice in health care as granted to others. Anita Silvers makes a strong argument on behalf of the chronically ill and disabled. 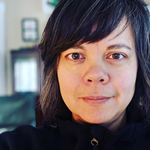 Generally, she describes how chronic care needs are not sufficiently different from acute care needs, and should therefore not be excluded or de-prioritized in health care rationing. This is summarized by her statement, “Rationing systems that constrain access by denying [care] associated with long-term needs penalize arbitrarily” (2012, 310). On this point, Eva Feder Kittay also champions the case for justice in health care allocation for the cognitively disabled. Rejecting contractarianism (in which there is no clear account of dependency or moral compulsion to provide for people who will always be dependant) in favour of contractualism (in which virtues of trust, compassion and vulnerability justify access to health care), Kittay then draws on Amartya Sen’s work on capabilities and freedom, which explores justice as equalization of capabilities, not just equalization of resources (2012, 318). Silvers and Kittay make acceptable arguments to support the position that people with severe impairments can claim (as a right) equal opportunity to health and health care. Second, we should assume that families provide unpaid labour that otherwise would be provided by professionals as paid labour. In other words, the ‘caregiving’ discussed here is not confined to emotional support of the family member, but rather comprises required technical skill and knowledge as well as the physical and emotional demands of providing intensive medical care, support for activities of daily living, and support for social and community engagement. These tasks also require provision of complex case management, care coordination and paperwork. We should assume that if family members did not provide these services, the family member in need of care would not thrive on their own, thus requiring institutionalization and the care of paid caregivers. Finally, we should assume that provision of care to a family member may not be unjust inherently. Provision of care, to some reasonable extent, may be acceptable to most. Nelson points out that family relationships are different than other relationships in society, and while we might rightly scrutinize patterns of exploitation and injustice, we see that family caregivers “apparently find great value in the provision of hands-on care to those they love, and they are reluctant to turn to whatever alternative sources of care might still be available” (2012, 434). On this point, we should assume that some families want to provide care, and at a minimum, should not be extracted from the caregiving role unwillingly. With these assumptions in mind, we can turn to Daniels’ theory of justice in health care. Daniels, building on the work of Rawls, is particularly helpful in outlining the extent to which non-medical (social) factors contribute to health inequalities and injustice. Daniels points out that health is not determined by merely assessing one’s access to medical treatment, but also by “the cumulative experience of social conditions over the course of one’s life” (2012, 21). While it might be illogical to say that severe disability or impairment itself is a social determinant of health, a family member’s overwhelming need for chronic medical and non-medical care should be recognized as a social barrier to equal access to health and health care. Additionally, family caregiving has a direct and positive effect on the health of the family member. In other words, without the family caregiver providing care, the family member with severe impairments would suffer poorer health and reduced access to care. Therefore, the presence of the family caregiver is a positive social determinant of health for the family member, and the caregiver’s absence could be a negative social determinant. Finally, we can imagine that the family caregiver suffers consequences to their own health as a result of ‘extreme’ caregiving, which can include physical strain, sleeplessness and emotional and mental stress. Through the lens of Daniels’ theory of justice, we can argue that by improving the delivery and support of family caregiving, we contribute to the reduction of health inequalities for both the family member and for the caregiver. Nelson’s chapter addresses social injustices borne by family caregivers as a result of their caregiving burdens, which include propensity for exploitation, harm to practical identities, and reinforcement of patterns of injustice (including gender bias). These are not health inequities or inequalities per se and it is not the intention here that they be positioned as such. However, these injustices occur as a direct result of the caregiving burden. The voluntariness or willingness of the caregiver to provide this care in no way reduces those burdens (although certainly ‘forced’ or reluctant caregiving can further increase the burdens). These particular burdens, it must be noted, do not exist to the same degree for those who are paid to perform the same tasks – which may include doctors, nurses, personal support workers, homecare workers and physical therapists. The burdens, then, might be attributed (at least in part) to the unpaid and unrecognized nature of family caregiving tasks, related social and work-related opportunity costs, and to the unique nature of family relations. As outlined in Nelson’s chapter, the pressures and burdens on families and family caregivers of unpaid family caregiving are clear. To make matters worse, family caregiving can be considered a form of “covert rationing” (2012, 434)—a means of de-prioritizing caregiving and off-loading costs to the family which would otherwise be paid by society, through institutionalization and professional care providers. As supported by Silvers and Kittay, the family member with severe impairments has a right to equal access to health and health care as a matter of justice. As supported by Daniels, the care needs of the family member can be considered social determinants of health for both the caregiver and family member—and therefore, it is a matter of justice to work towards reducing inequalities in this realm. It is also a matter of justice to allow family members to care for one another, to the extent they wish to. Knowing that a family member requires extraordinary care, how do we reconcile the willingness of the family caregiver with the immense burdens that caregiving places on them? Nelson gets close to a solution, suggesting (among other things) “socially funded efforts to ameliorate the burdens of family caregivers quite apart from the conviction that we should avoid solving social problems in ways that rely on people’s propensities to allow themselves to be exploited” (2012, 441). While respite, professional caregiving and community day programs should be extended to provide relief to families and family caregivers, we might also include direct caregiver compensation, allocated from health care funding, as a part of Nelson’s “socially funded efforts” to reduce caregiver burden and exploitation. Rhodes, Rosamond, Margaret Battin, and Anita Silvers, eds. 2012. 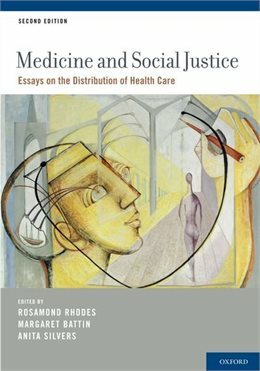 Medicine and Social Justice: Essays on the Distribution of Health Care. Second Edition edition. New York, NY: Oxford University Press.